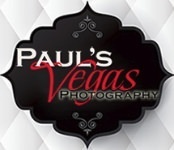 Best Elopement Ideas website featured Paul's Vegas Photography in a story about a couple who got married inside a real gold mine. You can read the story when you click the button below the image. One thing about Las Vegas weddings is you never know where you might end up. This time it was 500 feet in the middle of a mountain. Las Vegas is the elopement capital of the world.